The world has gone Pokemon mad. People of all ages can be seen roaming parks, museums and even cemeteries trying to “catch ’em all”. The spoof app is the creation of comedian Dena Blizzard. “I really didn’t understand [the game] and wasn’t looking forward to playing it with my kids, since it’s the middle of summer and I’m done,” Blizzard told TODAY. 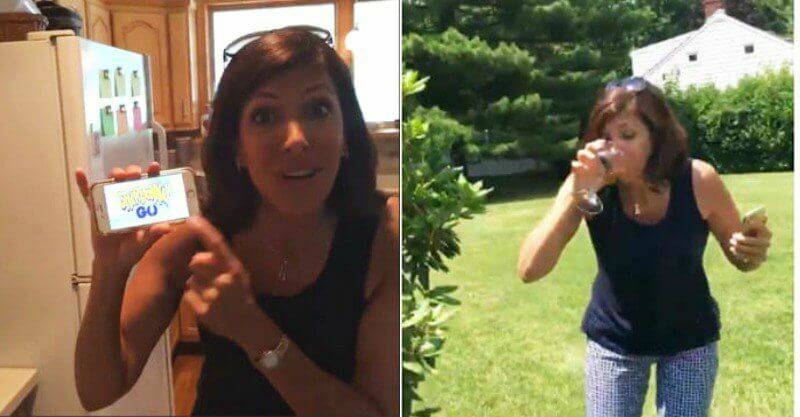 In a Facebook video, Blizzard can be seen using an app to track down glasses of Chardonnay hidden under bushes and inside people’s homes. There’s even a bottle tucked away in a man’s shorts. “Free chardonnay for mums everywhere!” exclaims Blizzard as she races through her neighbourhood. While this app is sadly not real, there’s always a chance that someone will turn it into reality. Fingers crossed, wine-lovers!